The Lucknow collar, like it’s inverted sibling, is a collar without buttons which lends itself well to a casual style, with or without a jacket. It’s a small, light collar which holds its shape well. 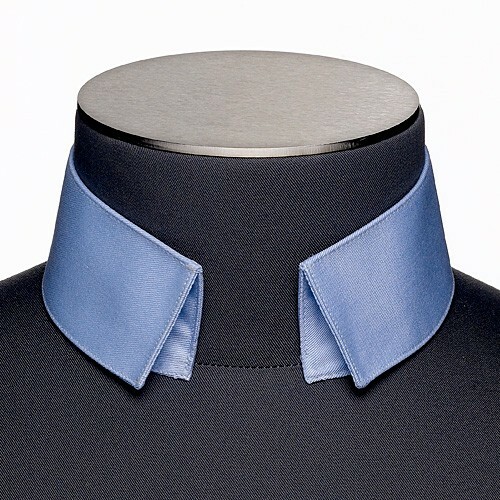 The classic collar is preferably worn in a conventional, more discreet style. With this collar the tie knot should not be too large. Very easy to wear with a tie and jacket or simply with jeans when leaving the collar open.